Have you ever given a thought of trying bright pink and grey nails on your fingernails? Let’s create some new look and be creative, If you want to show up your natural beauty then let’s try this simple and easy nail designs. This step by step tutorial will guide you in the right direction towards each step. Painting my nails is fun for me as it is an inexpensive way to play with my nails. I apply and remove many nail paint colours in daily life. Do you think using remove on daily bases can harm my nails plate? Let me tell you it’s very important to use correct product for your beauty and style. As you know nail plate is composed of keratin and without ignoring this I always try to make use of my Lakme remover. Lakme remover is enriched with Vitamin E which strengthens the nail and remove colour completely without drying my nails. I always trim my nail when it gets uneven because it is easier to trim long nails. 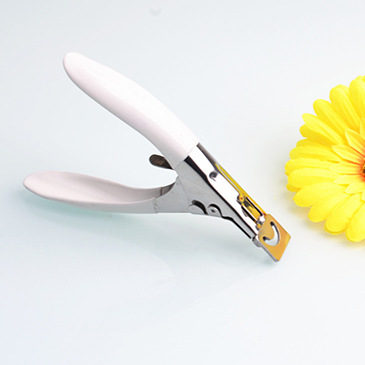 I personally use Vega trimmer to shape my nails into a square which is pretty simple and look good for baby pink nails. After trimming my nails I use my filer to remove all uneven edges and smooth the surface. This process helps me to maintain my pink and grey nails for long. Make sure while running filer on edges don’t run it harshly because it can spoil the shape of nails. Before starting the nail art design remember to use the base coat, As I always use my O.P.I base coat on my nails. Or it is better to take an occasional manicure to freshen up your nails. I prefer using the base coat because it protects my nail surface and also helps to react chemicals present in dark shade nail paints. Now it’s time to jump into nail art! 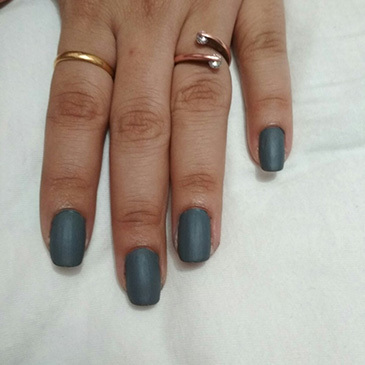 I choose my favourite grey colour nail polish to give a base to my nail art design. 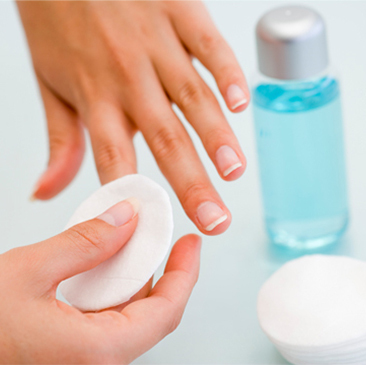 Apply it gently to your nails, if paint touched to your cuticle remove it with the help of earbud and remover. 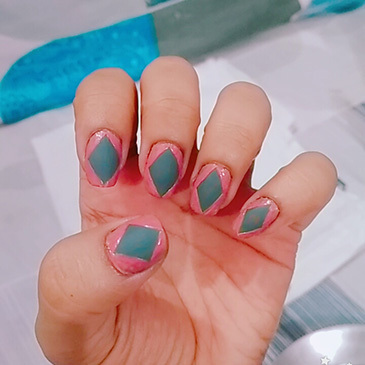 Here I have used my Stripper brush to give four edges shape with pink colour in nail art. It is super easy to design hot pink and grey nails with a variety of textures and colour of your choice. Firstly mark your four centre points on edges then join this with each other with help of stripper brush you will find an outline. Fill the empty space on edges with the help of detailer brush to make nail art more pretty and colourful. If still, you think it’s difficult to make the straight lines, not to worry there’s another way to get this design complete. Tear the small pieces of scotch tape and taped it to the nails now fill all the empty space then remove those tape with the help of tweezer. Seal the design with your top coat!